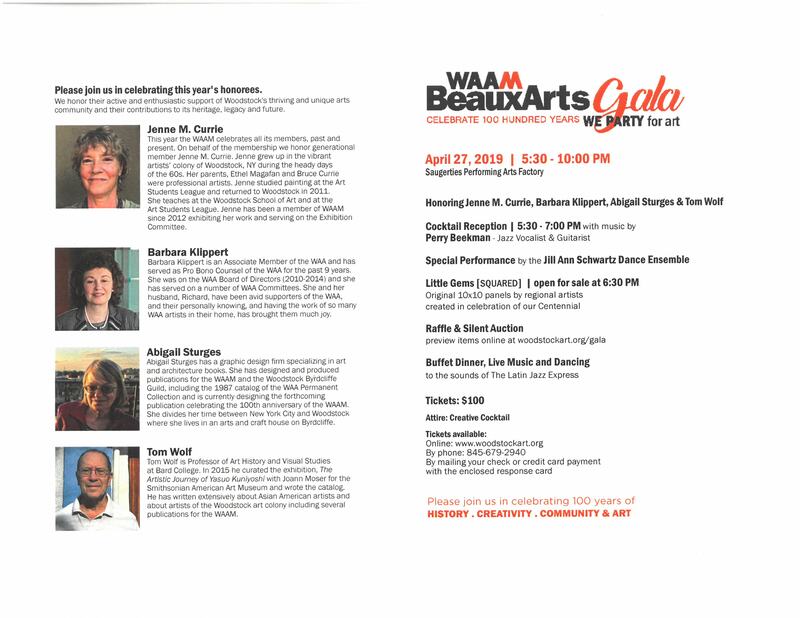 WAAM honors four to acknowledge their active and enthusiastic support of Woodstock’s thriving and unique arts community and their contributions to its heritage, legacy and future. In 2019, The Phillips Collection is introducing the Sherman Fairchild Fellowship, a comprehensive program that focuses on hands–on experience, mentoring, and professional development, creating greater equity and diversity within the museum. All are welcome to apply for the fellowship, and the Phillips will select up to four fellows. Successful applicants will demonstrate how they will contribute to the diversity of the institution, including identifying with an ethnic, gender, or ability group that is underrepresented, or having overcome a disadvantage or other impediment to success in the museum field. The fellows will each receive a stipend and the program will last for twelve months. Following the fellowship, the Phillips will continue to engage the fellows through mentoring and networking. Museums are places for engagement, reflection, appreciation, and learning. This happens not only in the galleries, but also behind the scenes with our staff and board. As a museum, an art organization, and an institution located in our nation’s capital, we are in a unique position to employ people from a wide variety of backgrounds to ensure that multiple perspectives are represented at the table. By including a multiplicity of backgrounds, opinions, and insights to a discussion, we will be better equipped to move our museum forward into its centennial year and beyond. The Phillips Collection paid internship program is open to junior and senior undergraduates, graduate students, and recent graduates. Applications are accepted for the summer, fall, and spring semesters. Susan Aberth penned a chapter! in Agnes Pelton: Desert Transcendentalist, a Phoenix Art Museum/Hirmer publication. Comments Off on Susan Aberth penned a chapter! Congratulations to Reza Daftarian, Liam Nolan and Willa Ruolph who will be participating in the SUNY Symposium, April 13, 2019 starting at noon. Andy Warhol’s activities after 1968 have long been understood as less influential and less innovative than his work in the early 1960s. However, his wide-ranging production in the ‘70s and ‘80s reveals a period of great experimentation, in which the artist further explored the possibilities of painterly abstraction, media technologies, studio practices, mass cultural forms and phenomena, and underground subcultures. Now over thirty years since Warhol’s death, his late artistic practice can be understood as far more diverse and multivalent than it appeared when he was alive. Yet, the work from this era has received less critical attention than that of the 1960s, and much of it remains little known. This symposium brings together scholars, curators, and artists to reassess Warhol’s activities in the period from 1968 until his death in 1987 in light of the exhibition Andy Warhol—From A to B and Back Again. 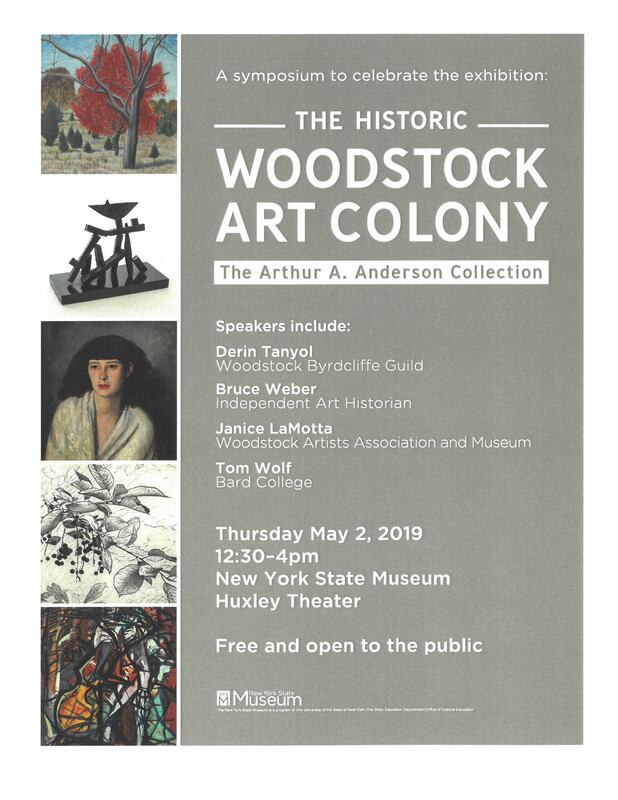 This event is co-organized by the Whitney Museum of American Art and the Eugene Lang College of Liberal Arts at The New School. This event is free but registration is required. Seating is available on a first-come, first-served basis. This program will be live streamed on YouTube. Rachel Himes will speak about her experience as a museum education specialist at the Frick Museum in New York City. Prof. Patricia Eichenbaum Karetzky, the O Munsterberg Chair of Asian Art at Bard college presents her exhibition “Weightier than Mount Tai, Lighter than a Feather: Human Rights Experience of Chinese Contemporary Art” at the Bard Campus Center, Annandale-on-Hudson, NY. Please come to the opening reception on Saturday October 13, noon-3:00 pm. There is a free catalogue that accompanies the exhibition. WELCOME TO THE BARD ART HISTORY BLOG! First major CMIA book and retrospective project" Also like Life: the Films of Hou Hsiao-hsien"
Art History Copyright © 2019 All Rights Reserved.